We're well into this basketball season, and so I thought a good topic for today would be to examine why we lose games. I'm talking about what actually happens during a game... not lack of preparation and other outside factors, even though these are very important too. And let's also put aside the obvious here... your opponent is simply much better than you. A young coach asked once, "Our next opponent is better, bigger, taller, stronger, quicker, plays great defense, with great shooters and ball-handlers, and they pass the ball well. What should I do?" The answer... "Lose", although Coach Sar says that the strategy should be, "Score first... then hit the fire alarm!". On offense, every possession must be valued. The goal of every possession is to get at least one good shot (and maybe more if we attack the offensive boards)... but at least one good shot (or two free-throws) each trip up the court. Notice that I did not say that we will score each time, because that is unrealistic. But we must value each possession, protect the ball, and get a good shot... each trip. Various violations, turnovers (traveling, 3-seconds, illegal screen, etc.) and bad passing get in the way of achieving our goal of getting a good shot. Also see "Reducing Turnovers". If you take a lot of contested shots, forced shots, off-balance shots, etc, your shooting percentage will plummet. Good defense can force you into bad shots as players become impatient and try to force the issue. And then there is the occasional player who is only concerned about his point total that game... but let's forget him for now. Throughout the season, in practice, define for your players what is a good shot and what is a bad shot. 1. The shot must be expected by your teammates. 2. The shot must be able to be rebounded by two of your teammates. 3. The shot must be able to let our defense have a chance to get back in transition after it is taken. 4. The shot must be a high percentage shot for the shooter taking the shot. 5. The shot is dictated by time, score, and situation. Let's look at the last one, #5 above. Jacking up a 3-point shot early in a possession, late in the game, when you have the lead... is a poor shot, even if it luckily goes in. It would be better to run some time off the clock, get a high-percentage shot or get to the free-throw line. In this situation, most successful teams will either get the ball inside to their best post player, or have their star perimeter player attack his defender off the dribble. Get inside or get to the line! Tough defense and rebounding will win most close games for you. I saw a high school team win a state championship a few years ago mainly by their great rebounding and defense... they could score too, but were only a little above average on offense. As we said above, on offense we want a good shot every possession. On defense, we want to contest every shot and pressure the ball. Keep the ball out of the paint. Force a bad shot, bad pass or a turnover... and then get the rebound. It's one shot (contested) and OUT! Great defense will win those games when your offense is struggling... and you can play great defense every game. No player should ever rest on defense... not even for one possession. If you need to rest, rest on offense... or on the bench. Poor defense, giving up easy shots, failing to hustle after loose balls are major causes of losing games. To reiterate... tough defense and rebounding will win most close games for you. It's one contested shot (contested) and OUT! No second and third shots... if you fail to block out and rebound and give up extra shots, your chances of winning are greatly diminished. When you are on defense, you must have that mentality of wanting to get the ball back. As soon as the shot goes up, everyone blocks out and rebounds. Failure to block out also results in more fouls... the offense gets the rebound and we foul on the put-back attempt. In my experience, if you lose the rebounding war, you will probably lose the game. Failure to sprint back on defense, i.e. poor defensive transition, results in easy shots and lay-ups for the opponent. Sometimes players don't sprint back because they are tired... take a time-out, or rest the player(s) on the bench for a couple minutes. It's an amazing thing, but sometimes players think they are sprinting back, and then we show the game film the next day, and they realize that they could be quicker. A key here is the first two or three steps... often a player will see that the opponent has gotten the rebound, will hesitate for a second or two, and then decide to run back... often too late. Players must learn to immediately recognize the change of possession and make those first few steps quickly. Many coaches teach players to run back to the paint, with one player stopping the ball, and the other four players getting one foot in the paint, and then fanning out to pick up the ball or their man from there. There are good fouls and bad fouls. Fouls in the back-court (i.e. in a press defense), or 80 feet from the basket (i.e. fouling the rebounder) are usually stupid fouls. The game (and the clock) stops. If in the double-bonus, we walk down the floor and they shoot two uncontested free-throws. You may have to do this late in a game if you are behind... but otherwise, these are dumb fouls. Fouling the jump shooter is usually a bad foul. Get a hand up, but don't foul... and block-out. Reach-in fouls on the perimeter are not good fouls... instead players should learn to move their feet and get help from teammates on dribble-penetration. A good foul may be fouling a lay-up or an inside, high percentage shot... these shots must be contested, and occasionally you'll get a foul... that's just the way it is. We don't intentionally foul in this situation, and never want our player to take a "cheap shot" at an opponent going in for a score, but we do want to contest that shot. Bad fouls early in a game get your players in foul trouble, and then they have to sit. Late in a close game, as your team's foul total builds up, the opponent gets to go the free-throw line and score easy free-throws without taking any time off the clock. If one or two players are just playing for themselves and their own "glory", many of the above-mentioned factors come into play. Bad, forced shots are taken. Attitudes develop and players stop hustling and working hard on defense. Your "star" players may not sprint back on defense, and may loaf of defense. Selfishness results in poor passing and cutting. Players may get angry when taken out the game by the coach. A negative attitude develops on the bench and players are not pulling for and helping each other. Coaches start yelling at their players, and the refs. A team with twelve or fifteen players playing hard together as one is a tough team to beat. Your "star" players must realize that when the all-conference honors and awards go out at the end of the season, most of those awards go to players on winning teams... not just good individual players... just another way of selling the "team" concept. 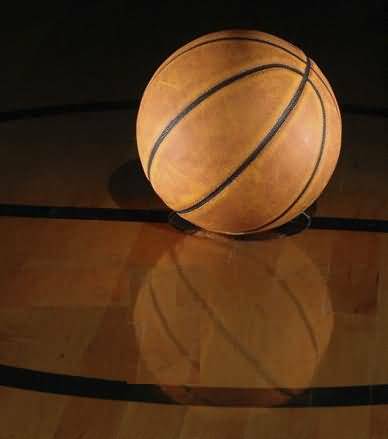 For the complete article, see "Basketball Coaching - Seven Major Reasons Why Games Are Lost". A number of new or revised articles have been added. Coach's Guide for a Drug Free Basketball Team. Updated the "Outside (Perimeter) Guard Moves and Skills" article. Updated the "Art of Passing" article. See the complete "What's New" list. "A team should be an extension of a coach's personality. My teams are arrogant and obnoxious." "My rule was I wouldn't recruit a kid if he had grass in front of his house. That's not my world. My world has a cracked sidewalk." "I don't discuss basketball. I dictate basketball. I'm not interested in philosophy classes." "Winning is overemphasized. The only time it is really important is in surgery and war." "If a player leaves Marquette and doesn't have some of my blood in him, then I don't think I've done a good job." "It's a profession in which, the longer you stay, the closer you are to being fired." "If winning weren't important nobody would keep score." Once while coaching at Belmont Abbey College, McGuire handed his sports coat to an official and said, "Here, take this... you've taken everything else from me tonight." "The people who know basketball, their elevators don't go to the top." "If you haven't broken your nose in basketball , you haven't really played. You've just tokened it." "If the waitress has dirty ankles, the chili is good." "Every obnoxious fan has a wife at home who dominates him." "The only mystery in life is why kamikaze pilots wore helmets." "There's always going to be problems, and I feel the greater the problems for a generation the greater that generation is going to be." "When I'm losing, they call me nuts. When I'm winning, they call me eccentric." "I always wanted to sit in the front seats on the bus. I always wanted to be called 'Coach.' Those were the only two things that were important to me." When legendary University of Kentucky coach Adolph Rupp called McGuire 'son' during the 1968-69 NCAA tournament, the young upstart McGuire shot back: "Don't call me son unless you're going to include me in your will." We lost Coach McGuire to leukemia on January 26, 2001 at age 72. Join us on Facebook and Twitter! Become a fan & friend!